In the annual Living Room hot list episode, there are embarrassing pet questions, best soups and favourite DIY hacks. 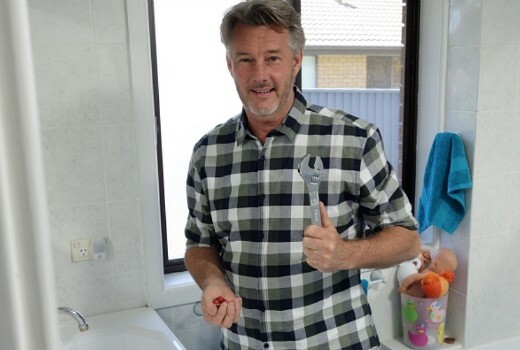 Barry Du Bois shares his top five simple tips to making your home more efficient while saving money and water. Barry’s confident these new home improvements could help save the average household around 40 liters of water a day. Ever had a question about your pet that you were too embarrassed to ask? Dr Chris tackles the top five most embarrassing pet questions. From dog’s who eat hair to cat’s that stare at walls for hours on end, Chris has the answers to your embarrassing answers. Nothing beats a warm and hearty soup on a cold winter’s day. Miguel shares his top five soups in Australia. From a spicy Asian broth to a cold and flu remedy that Jewish grandmothers swear by. Tiffiny Hall reveals her top five exercises to boost your mood. First up, Tiff learns the physical and mental benefits of cycling. She then heads to a boot camp to experience the benefits of team exercise. She try’s her hand at Tai Chi before taking things up a notch and smashing her way through The Break Room. From making a jar lid out of a balloon, to the fastest way to peel an apple, Amanda shares her quirkiest top five DIY tips, to make everyday tasks a lot easier and interesting. Unfortunately The Living Room is a serial ( or is that cereal ) offender. 2. “Dog’s” and “cat’s” don’t need apostrophes here. 3. “She try’s her hand..” See above, Hemingway. So please Amanda, stop getting Derek Zoolander to write your TV blurb, it really is the work of some kid who don’t read good.